MILAN (Reuters) -- Fiat aims to avoid plant closures in its home market by putting factories on short-time work through the autumn as Europe's auto industry struggles with weak demand and excess production, according to union sources. Fiat, like other mass-market automakers in Europe, is feeling the squeeze as recession and austerity budgets force consumers to delay new car purchases. As a result, it is focusing its investment elsewhere, like in the United States and Brazil, raising concerns it might be planning to announce a plant shutdown this autumn. On July 3, Marchionne said the carmaker will shut a plant unless it can come up with an economically viable plan to use excess capacity in Italy to build cars for North America. But this is unlikely to happen, said people who have spoken with Fiat CEO Sergio Marchionne this summer. "At the meeting with trade unions on Aug. 1, Marchionne said Fiat already closed the Termini Imerese plant in Italy, so now it's up to other European countries to make a move," a union source said. "I think he won't do anything." Other countries are indeed moving. PSA plans to cut more than 10,000 French jobs and close its first car plant in two decades, while General Motors is expected to shut the Opel plant at Bochum, Germany, in 2017. In Italy, Marchionne intends to avoid a closure by halting production at the carmaker's five plants off and on throughout the autumn, said another trade unions source, and plans to lay off white collar workers when Italy's economy recovers. The temporary layoffs will help keep a lid on costs at a time of slack demand. But the decision not to close a plant is based on more than just cost calculations. Factory investments made up until now, a possible change in economic conditions in Europe, and hopes of tax breaks on labor costs in Italy also suggest Marchionne will delay any major changes in investment plans in Italy. "It's not true that the company just looks at the cost issue, as many commentators have recently suggested," an industry source said. "In Italy we have skills we cannot lose. Cassino, Melfi and Pomigliano are world class manufacturing plants." The automaker spent around 1 billion euros to update its plant at Pomigliano, where it makes the Panda minicar, and signed a hard-won new contract with unions allowing for its factories to be used 24 hours a day. That's something which could interest possible partners. Marchionne recently said Fiat is open to sharing its plants with other automakers, citing a possible deal with Mazda, its partner for an Alfa Romeo sports-car model. Overcapacity in Italy will remain the biggest headache for the group. It is currently estimated at around 800,000 cars - not far from the 947,000 vehicles Fiat sold in the whole of Europe in 2011. The Italian car market is expected to close 2012 with sales at 1.37 million, the lowest level since 1979. Plant-sharing with Mazda or Suzuki would not solve the problem, because Mazda sold around 137,000 cars in Europe in 2011, and Fiat's other Asian partner Suzuki, 180,000 vehicles. If it comes to a plant closure, unions think Mirafiori, Fiat's flagship factory in its hometown of Turin, could be the most at risk, since construction work to update the plant to host new small SUV models has been on hold since the end of May. But they point out that one billion euros of planned investment at Mirafiori has been frozen, not cancelled. 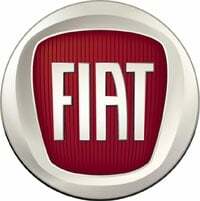 "At the Mirafiori plant Fiat is still in time to start production by 2013 as it promised," the industry source said. "It will take around 12 months to set up the new lines and start the production."